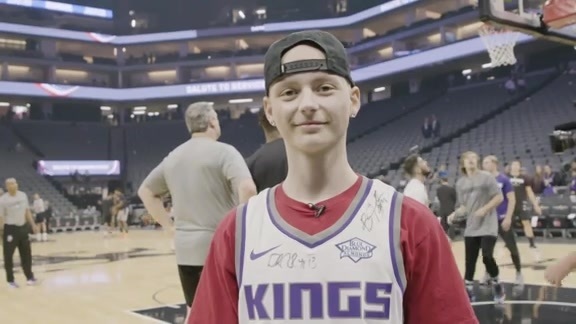 The Sacramento Kings had Golden 1 Center buzzing on Monday night as the team beat the Portland Trail Blazers during their second matchup of the 2018-19 regular season. Basketball wasn’t the only highlight of the night. During the game, the Kings honored the life and legacy of Dr. Martin Luther King Jr. by presenting the MLK Jr. Community Impact Award which recognizes a local organization that embodies the values of equality, leadership and education Dr. King fought to support. This year, The Center at Sierra Health Foundation was awarded for their inspiring work with My Brother’s Keeper (MBK) Collaborative. The organization’s impact has reached far beyond the local community, gaining national recognition from the Obama Foundation as they selected My Brother’s Keeper Sacramento Collaborative as one of 10 impact communities across the country to receive grants and access to technical assistance. Additionally, the Collaborative continues to identify new ways to partner with organizations and efforts in Sacramento that have the potential to produce positive outcomes for young people. "We are honored to receive the MLK Community Impact Award recognizing the work of the Sacramento My Brother's Keeper Collaborative, working in partnership with the Black Child Legacy Campaign's Healing the Hood Initiative and the Positive Youth Justice Initiative to improve opportunities and outcomes for boys and young men of color," said Chet P. Hewitt, president and CEO of Sierra Health Foundation and The Center and co-chair of the Steering Committee on Reduction of African-American Child Deaths. "We continue to build upon our partnerships with community organizations, families and youth to create a more hopeful future for all young people." My Brother’s Keeper Sacramento youth fellows and community leaders from Black Child Legacy Campaign were also in attendance at the MLK themed-night, providing more information to Kings fans on how to get involved with these impactful organizations and make a difference in the local community. 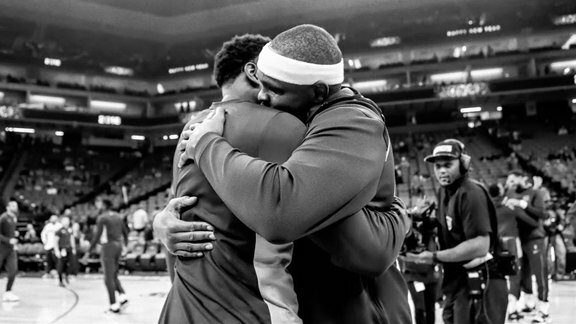 The Kings further honored Dr. King’s life through various in-game celebrations – including videos highlighting the accomplishments of Dr. King, a halftime video featuring Kings coaches, dancers, players and various Build.Black. Coalition youth reading the “I Have A Dream” Speech and an art showcase featuring projects crafted by Merryhill Elementary School students.